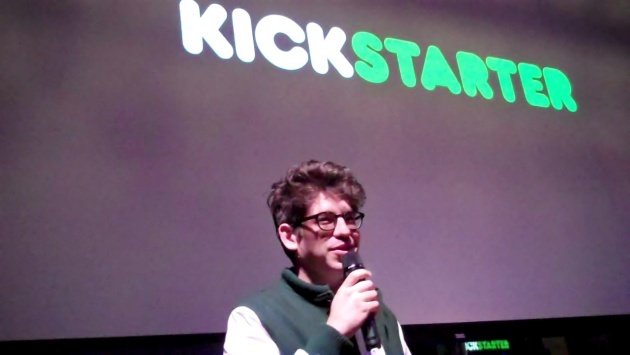 Visitors to Sundance London got the opportunity to quiz Yancey Strickler, the CEO of Kickstarter, the crowd funding website that has attracted over $1 billion dollars worth of rewards-based donations. Peppering his presentation with youth speak, Strickler did his best not to resemble the comedian Rick Moranis in a baseball jacket, though I kept waiting for him to say ‘Ghostbusters? 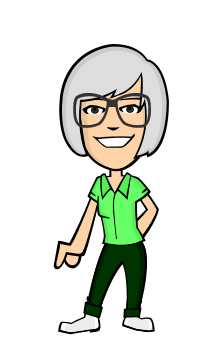 Who does your taxes?’ Strickler co-founded the site in 2009 as a web-based means of securing pledges for community based projects. It was a means by which entrepreneurs could access finance without going to the bank. The formula is ridiculously simple. The creative artist or community group would post a video on line describing why they need the money, say to develop the pebble watch or buy a van from which to sell tea and muffins. They would cost the proposal and set a time limit to raise the funds, say £15,000 in sixty days. If you met your target within the specified time frame, bank accounts were charged. If not, no money changed hands. Those contributing the money would not participate in any profits; they would not be purchasing a stake in the company. Instead, they would receive a reward: a year’s worth of free tea, a functioning watch once production had commenced, or a personalised photo, video message or muffin delivered to your work place, which if you are making adult entertainment is one way of getting actors to be in your movie (certainly not recommended by this author). To be successful, you need to go out and pitch to your community: your family, friends and random film reviewers starting out. You can use social media like Twitter to find potential contributors. The first 20% of your funding target is the most difficult to raise, but research by Kickstarter has shown that those who can manage this will generally reach their target – the so-called snowball effect, which I thought was the name of a cat; that would make the snowball effect a mass shedding of fur and carpets torn up. For filmmakers, Kickstarter has provided a way to bridge financing gaps. I was introduced to it by Si Horrocks, the writer-producer-director of the psychological mind-bender, THIRD CONTACT. He had made his movie and wanted to screen it on London’s biggest cinema screen, the BFI IMAX cinema in Waterloo where, coincidentally, he had worked as front of house staff for years. He reached his £15,000 target, offering tickets, t-shirts, soundtracks and posters as rewards; the screening was over three-quarters full. Then he repeated the event in other venues, in other countries, touring with the movie and giving Question and Answer sessions afterwards. Those who couldn’t make the screening at BFI IMAX could watch the event through simultaneous live streaming and tweeted questions afterwards. Horrocks is not the other British filmmaker who successfully availed himself of the service. The producers of 8 MINUTES IDLE used Kickstarter to get their movie off the shelf when its distributor, Revolver Entertainment, went bust. American filmmakers have used the site at various stages of production. Behn Zeitlin’s BEASTS OF THE SOUTHERN WILD and Jeremy Saulnier’s BLUE RUIN are two notable success stories. More recently, director Gillian Robespierre used Kickstarter to get her cast and crew to present OBVIOUS CHILD at Sundance in Park City, Utah last January. The film was made but Kickstarter contributors paid for flights, hotels and the best possible copy. Both Zach Braff, currently on stage in the lead role of the stage musical BULLETS OVER BROADWAY, and Spike Lee have used Kickstarter funds for their latest productions. The TV spin-off VERONICA MARS was the first fan-funded feature to be picked up by a major studio, though ultimately only the fans went. So far, what’s not to like? Well, raising funds for this or that mini stage of a project pretty much becomes a full-time job. Horrocks has been on the road with his movie for eight months showing it for the equivalent number of people that would visit an arthouse multiplex in a weekend. I call it panning for audiences, prospecting for days to get 100 people in a room and then repeating the process. Raising money for movies and continually getting over the line is a form of addictive behaviour. Can we get two hundred people to buy a ticket? Can we show the film in twenty cities across America? Meanwhile, the artist involved isn’t being creative, rather in Horrocks’ case, having a documentary camera turned on himself! In SEDUCED AND ABANDONED, writer-director James Toback quoted Orson Welles’ statistic that 95% of your time is spent chasing funding. However, the rewards for doing so could be immense, an artwork that could be CITIZEN KANE. And if you are a filmmaker in Peckham, South London, the chances of raising £100,000 for a decent budget movie from your community are pretty remote. You need some form of celebrity to attract strangers and fans willing to participate. One woman asked Strickler whether Kickstarter could advocate ethical funding: you could only use the site if you paid your actors and crew living wages. Such a dream isn’t on the cards. I don’t think the entrepreneurs raising capital are really earning minimum wage: they are working their social media presence to the last re-tweet. To be a success on Kickstarter, or any of the crowd-sourcing sites, you really need to present yourself in such a way that your friends will support you first, then perhaps fellow artists, then others. Have a good story, that is, not so much a script as a reason why you need the money. Kickstarter is establishing itself in countries where users have bank accounts and want to set up projects. Beginning in the United States, then moving to United Kingdom and Australia, Kickstarter recently established in the Netherlands. This year it hopes to conquer Europe. In the fantasy version of Kickstarter, Ukrainians might uses it to attract funding to remove the Russian influence from their country – THE EXPENDABLES 4 – this time it’s real! I’m sure we’re a long way from that, but how long? In the mean time, if Strickler wants to keep saying that funds raised is the fourth most important thing about Kickstarter, then he should drop the slide that shows $1 billion raised (5% of which goes to his company) and emphasise the quality and durability of the projects. My contention is that the majority of Kickstarter-funded projects don’t enter the mainstream, but are the equivalent of a farmer’s market. Nice to visit once in a while, but a little too niche and expensive to be a serious threat to the mainstream.